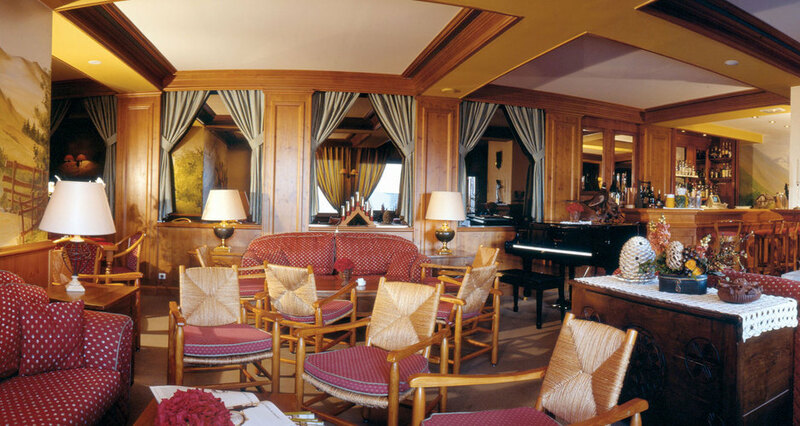 The Alba has charming communal rooms, with the lounge and bar attractively furnished with comfy seating and a fireplace. 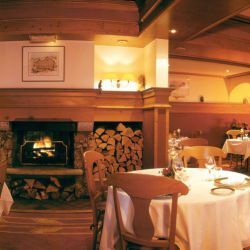 This provides the perfect setting for a refreshing après-ski drink, and for enjoying evening apéritifs and canapés. 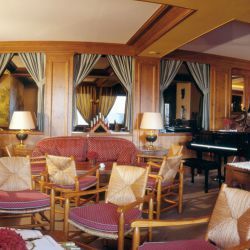 The dining room has picture windows overlooking the large sun-terrace, which in turn looks out over the Doron slopes, the Rond Point and across the scenic Méribel valley. The Alba also has its own adult-only wellness area on the lower ground floor, with a sauna, steam-room and whirlpool spa bath affording parents a relaxing haven in which to unwind. Our staff provide a hot and cold buffet breakfast, afternoon tea and our 'Culinary Choice' evening menu, whilst our Baby-Listening/Child-Patrol Service, running till 11pm, allows parents to relax in good company over coffee and liqueurs after dining. Children's High Tea is served at 5.15pm and supervised by our staff till 6pm. We are pleased to be able to offer a complete range of room-styles here to suit most families, from a twin with cot for a couple with a baby to sets of rooms for larger families, sleeping up to six. 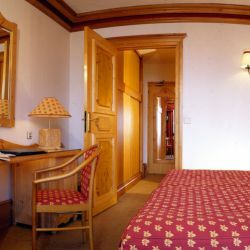 Supplements per person per night: Rooms 5, 7 & 26 Bath/wc £3.50; Rooms 25, 27, 35, 36, 37 & 44 Bath/wc/balcony £4.50; Rooms 1, 2, 3, 4, 21, 22, 23, 24, 31, 32, 33 & 34 Bath/wc/balcony with valley view £5.50; Suite 42 £6.50. 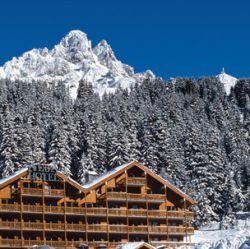 The Chalet Hotel Alba has the ultimate location as it is ski in/ski out in the Rond Point area of Meribel. 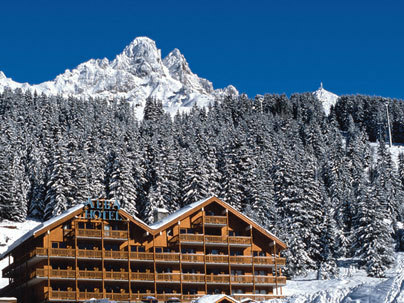 The main piste is just across the road so access to the skiing is really easy. 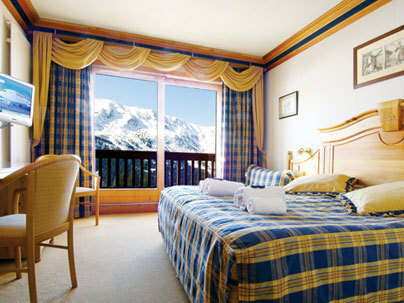 Coming back to the chalet hotel is even easier as there is a ski bridge that takes you practically back to the ski door. There is a ski hire shop right below the Alba so sorting out ski and board hire is also an easy job. 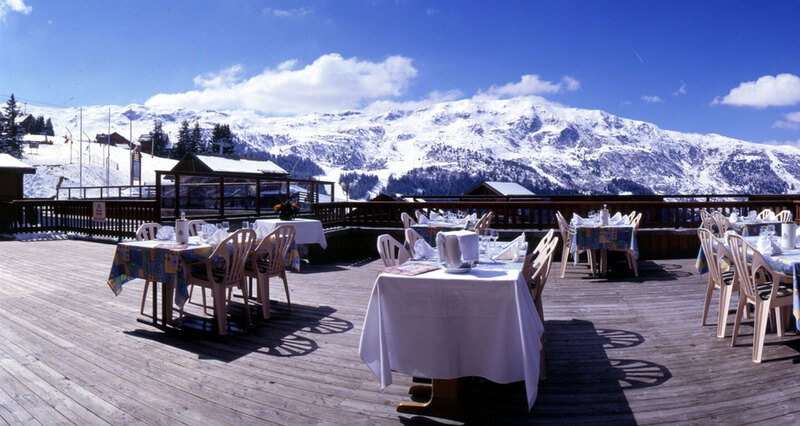 There are plenty of apres ski venues such as the Rond Point that are close by. 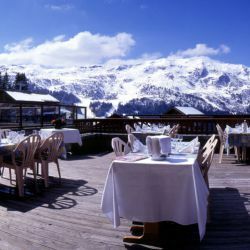 The centre of Meribel is easily accessible by the local ski bus. This runs through until about 11:45pm. 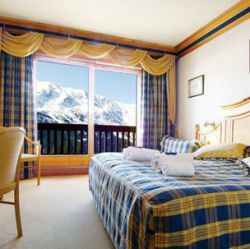 On the two staff nights off per week, a continental style breakfast is laid out for you to help yourselves in all chalets whilst it is served as a buffet in our Chalet Hotels. There is a supplement of £39 for children aged 8-13 joining adults at the 7.30 pm dinner service. Special diets can be accommodated at a cost of £35 per person per week. Please notify us of your dietary needs at the time of booking. 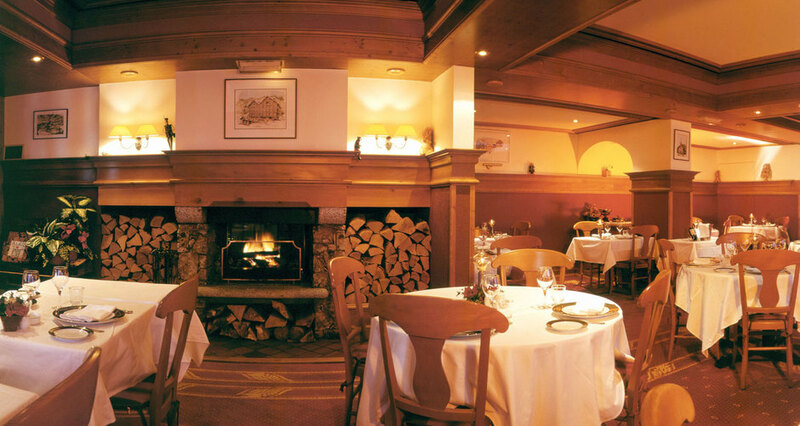 Our Chalet Hosts will discuss your dietary requirements with you upon arrival to the Chalet or Chalet Hotel.